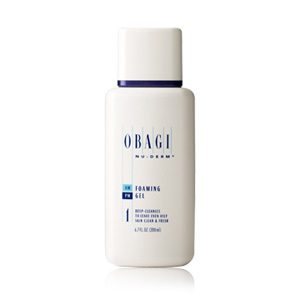 Obagi Nu-Derm Foaming Gel for normal to oily skin is designed specifically to deep clean the skin, remove impurities, oil, and makeup without damaging the skins own natural moisture content. This soap-free cleanser combines a blend of herbs, natural cleansers and Aloe Vera to create a gentle formula. Use this product every day to cleanse my face and wouldn't use anything else. Have used it for years. I have used this product as well as other Obagi products for many years and I am very pleased with them. I love that this cleanser foams like a soap would, so many others don't!!! I have used this product for many years. It's the best. Minnesota is hard on our skin both summer and winter. 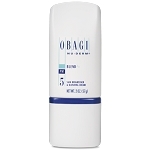 I love Obagi because it cleans and leaves my skin soft without drying it out. I also apply moisturizer following cleansing. I have been using this product for years. I always get complements on my skin. Love the Obagi foaming gel. Great product and does not dry my skin out. I have been using Obagi products for over 7 years; it is very gentle and non abrasive on your skin. This is the only product I have been able to stick with and use consistently and get great results. Great for oily, yet sensitivve skin. Takes just a small amount to get mounds of cleansing foam. Rinses off easily and your skin feels like silk. Reasonable price and lasts for a long time. Highly recommend. Apply to wet face, rinse with lukewarm water and gently pat dry. Avoid rubbing the skin with a towel. Product can be used in the morning and evening.